We offer private airport transfer service from all local airports in conjunction with 3 Valley Vans. They can be found at www.3valleyvans.com. E-mail them for a quote and mention you are booking with Peak Pursuits (Chalet Chardon Bleu) in St Martin de Belleville they will offer you a 10% discount. 3 Valley Vans provide private airport transfers 24 hours a day, 7 days a week. Picking you up direct from your flight and taking you straight to the chalet. We can also recommend bensbus for shared transfers from the airports to St Martin de Belleville, great for individual travellers & small groups, looking for a low cost option. Geneva Airport offers a ski bus. It is essential that you book in advance, more information can be found at www.alpski-bus.com. Hiring a car from the airport is often the cheapest way to transfer, especially for small groups. 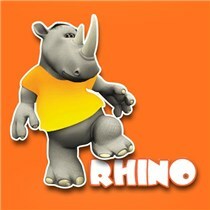 Why not get a quote from www.rhinocarhire.com a UK based car hire broker working with all of the leading agents in the UK & Europe. Their UK team are on hand to assist you through every step of the process. Mention that Peak Pursuits referred you and they have offered to arrange further discounted rates.